Lock in a great price for Ocean Elephant Beach Apartment – rated 9.4 by recent guests! One of our best sellers in Strand! 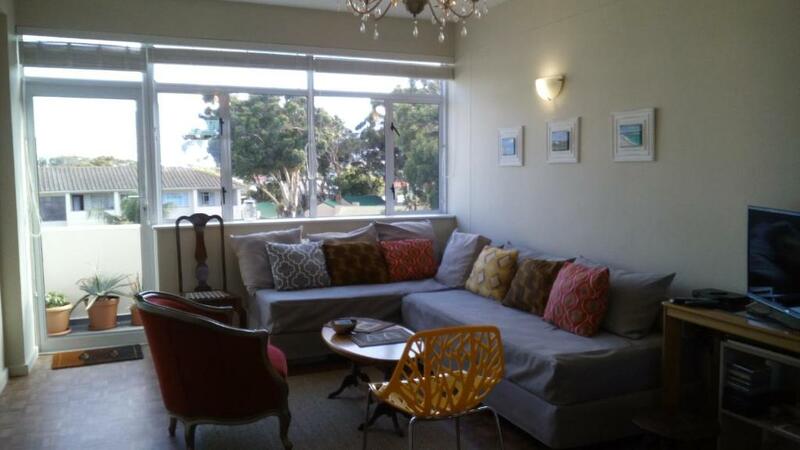 Two Oceans Beach Apartment offers accommodations in Strand. The property is within a 5-minute drive of shops and restaurants. Located on the third floor, this 1-bedroom apartment features a living room with a dining area and bright seating area. It is fitted with a flat-screen TV with cable channels and a DVD player.It has a fully-equipped kitchen, including a washing machine, and a breakfast bar. The bathroom is fitted with a bath and shower and free toiletries are provided. The balcony overlooks the park and has views towards Table Mountain. The apartment offers free parking behind a safety gate. Two Oceans Beach Apartment is 2,800 feet from Southside Shopping Center, while Somerset Mall is 3.7 mi away. 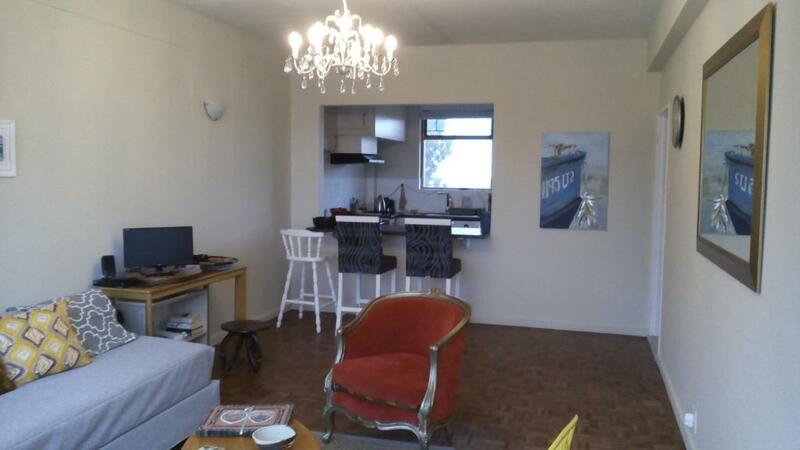 The nearest airport is Cape Town International Airport, 24 mi from Two Oceans Beach Apartment. 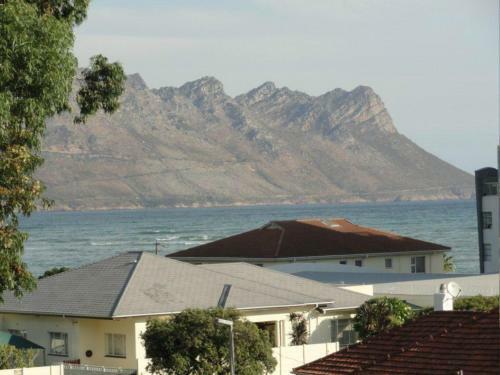 This property also has one of the top-rated locations in Strand! Guests are happier about it compared to other properties in the area. This property is also rated for the best value in Strand! Guests are getting more for their money when compared to other properties in this city. When would you like to stay at Ocean Elephant Beach Apartment? Accessible via stairs, this third-floor apartment features a dining area and a living room with a flat-screen TV with cable channels and DVD player. 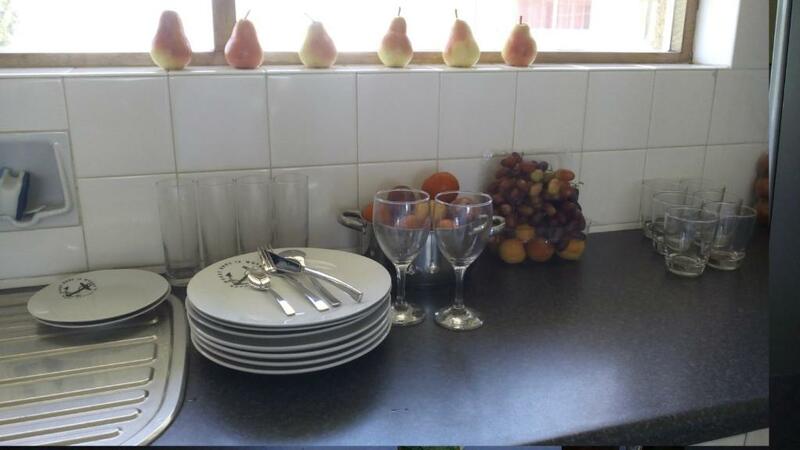 It has a fully-equipped kitchen, including a washing machine, and a breakfast bar. The balcony overlooks the park and has views towards Table Mountain. Luminous T2 apartment has a quiet bedroom with great queen-size bed and big wardrobe and a sunny living with couches to accommodate 2 more guests. 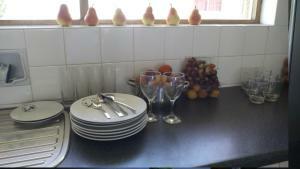 Fully equipped kitchen opens to the living via breakfast bar to enjoy nice view while having breakfast or glass of wine. Bathroom has a bathtub and a shower. Apartment is situated on the 4th(upper) level of secured residential complex looking at the Beach road and the ocean(30m). Secure gated parking with remote control provided. Nice sandy beach is around the corner of our Complex. Supermarket 150m, cafe's etc. 200m. NO PARTIES in apartment as this is an established residential complex. We are a Dutch couple , retired. We love South Africa, especially West Cape and this apartment is our 'Home away from home' . We like our guests to feel comfortable and charished too. Situated in Cape Town Bay, Strand with its cosy waterfront cafe's and restaurants is famous for its 5 km beach walk along the ocean and its gorgeous sunsets. Strand is well placed between busy Cape Town (35 km) , famous vineyards of Franschhook and Stellenbosch, whale capital of South Africa Hermanus (80 km) and big penguin colony of Betty's Bay (25km) This is the only place around Cape Town where you can swim in the sea: the bay is shallow and water is warm. Good for all water activities. House Rules Ocean Elephant Beach Apartment takes special requests – add in the next step! A ZAR500 damage deposit is required 7 days before arrival (about USD35.26). This deposit will be fully refunded at check-out, as long as there isn't any damage to the property. Children 12 and older are allowed at this apartment. Please inform Ocean Elephant Beach Apartment of your expected arrival time in advance. You can use the Special Requests box when booking, or contact the property directly using the contact details in your confirmation. A damage deposit of ZAR 500 is required. The host charges this 7 days before arrival. That's about 35.26USD. This will be collected by bank transfer. You should be reimbursed on check-out. Your deposit will be refunded in full by bank transfer, subject to an inspection of the property. The sea view from the Windows there is lots to see. didn't actually have a sea view, only through the kitchen. On the balcony side was not a very nice view. House below the yard was not in a good state. Not actually practical if too much luggage as there is no lifts, and we were on the third floor. Apartment was fine!, but we did not take into account the rush hour into Cape Town in the morning. This will take an extra hour at least. Directions Stellenbosch etc. don't give much delay. 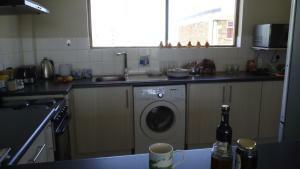 It is a nice apartment, great view through the kitchen window. Nice comfy bed. 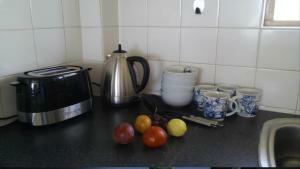 Complete kitchen. 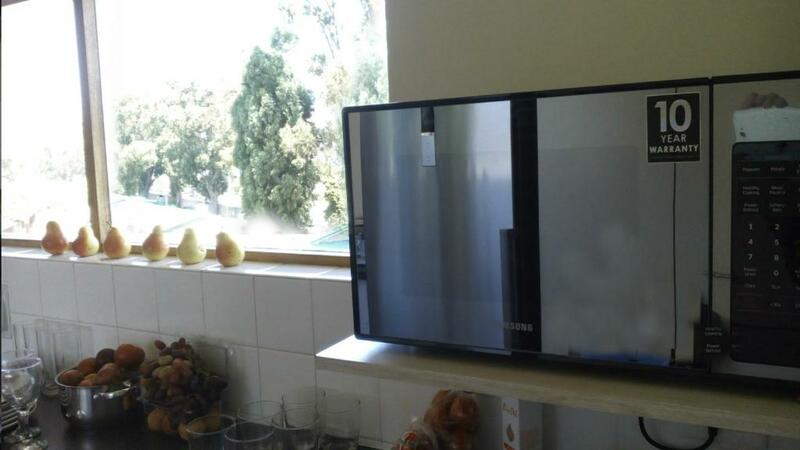 Lovely unit, good location, comfortable, very clean and neat. 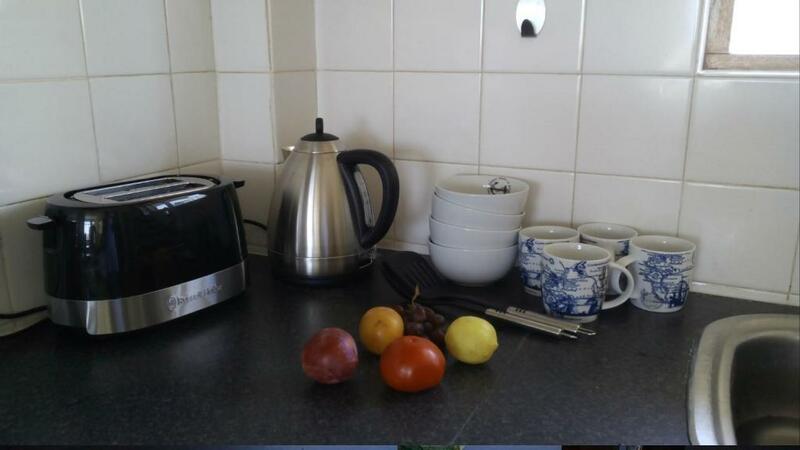 Tea, coffee, sugar and biscuits to you going upon arrival. Friendly host, secure parking. Will definately return. Good value for money. No diningtable, seating uncomfortable, tv channels should be upgraded for the value of mony spent. Three flights of stairs without any lift in die entire building. The small stairs to level three, but after a while I was ok with it. Extra comfy bed and clean bathroom facility.